Fellow Food Nerds prepare yourself. 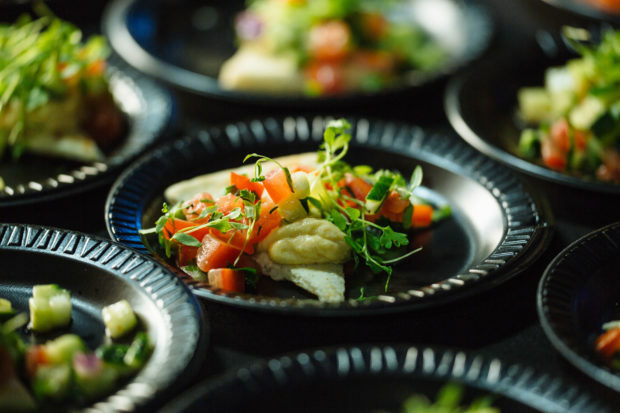 Tickets are now available for the most anticipated foodie event of the year – IRON FORK! 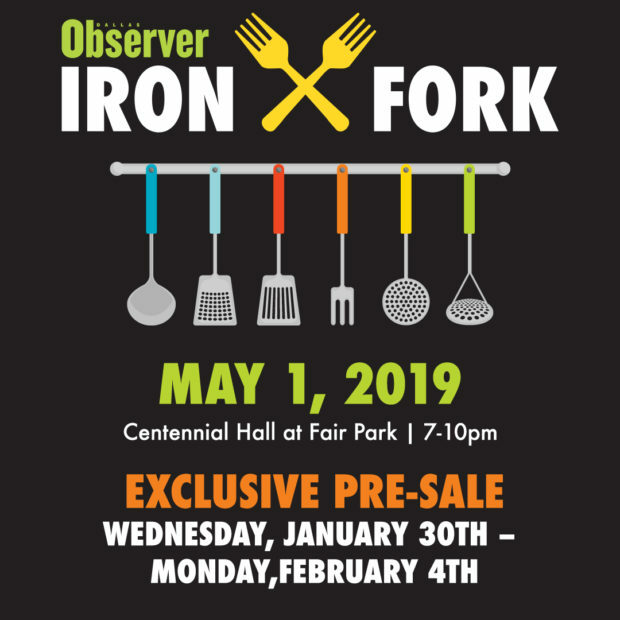 Presented by Dallas Observer, Iron Fork is a grand tasting event that will take place on Wednesday, May 1, 2019 at Centennial Hall at Fair Park. The center stage will feature the Chef Challenge Moderated by Restaurateur Kent Rathbun. Two top chefs will receive a basket of ingredients and will go head to head for the prestigious Iron Fork award. 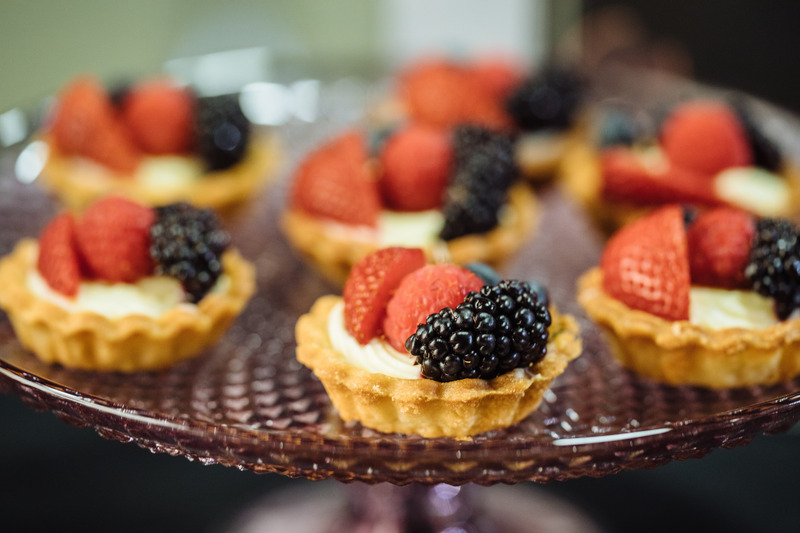 During the event, attendees will enjoy the chef challenge, and tastings from local restaurants, alongside wine, beer and cocktail samplings. All tickets include admission into the Iron Fork Chef Competition, unlimited food samples (YES! ), alongside 8 wine, beer & cocktail samples! (Additional drink sampling cards available for purchase at the event.) Does it get much better than that? I think not! 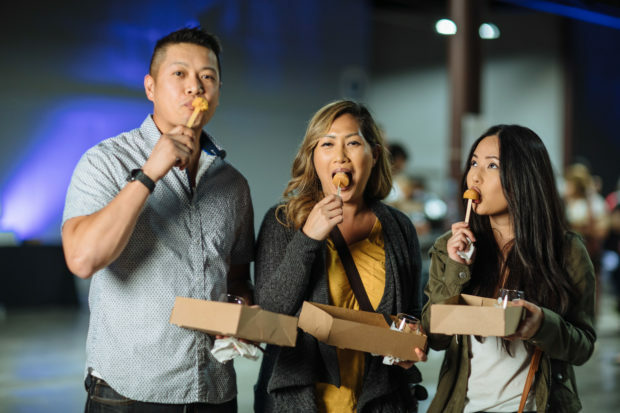 Because we’re friends, use this special discount code DALLASFOODNERD (code expires on 02/04 @ 9 a.m.) so that you can grab these tickets for the low before the rest of the world snatches them away. All portion of proceeds from this year’s event will benefit the North Texas Food Bank. Nothing gives me warm fuzzies like eating good food while helping a good cause. Pre-sale official ends on Monday, February 4 at 9 a.m., so do NOT procrastinate! Go ahead and get these tickets quickly because I have a feeling they are going to sell out quickly and don’t forget to use the code DALLASFOODNERD! See you in May at Iron Fork!